Most of us women are all too familiar with the fierce food cravings that we get during our period. We all crave different foods on our periods but chocolate is at the top of the list for most women. Many women claim that chocolate provides temporary period discomfort relief which is somewhat true. 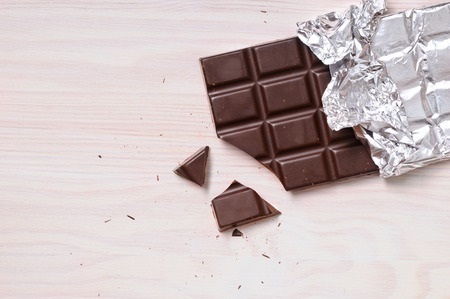 Chocolate contains magnesium which can help alleviate period cramps. Chocolate also contains endorphins which can help to improve your mood which often fluctuates during our periods. Chocolate does help with our period symptoms to an extent. However, a Swiss chocolate brand just created a chocolate bar specifically for women on their period in order to help with symptoms. An herbal specialist at Chocolate with Love helped to create the recipe using seventeen Swiss mountain herbs along with sixty percent of cocoa solids. The combination of the herbs along with the molecules in the chocolate are intended to lift the serotonin levels of the body, to improve mood, improve circulation, and create a sense of calmness. However, Widmer has made it clear the chocolate is not intended to be used as a medicine. Although there is no set price on what it would cost in the United States yet, it is estimated at around $15.00USD per 100 grams of chocolate. 100 grams is equivalent in size to about a half cup of rice, making this chocolate bar a more expensive solution to period relief. However, the chocolate is not being sold yet in stores. Chocolate with Love is still working to raise enough money to get their chocolate on supermarket shelves in Switzerland so it could be some time before we have it in the United States. We are curious to know if this chocolate really alleviates period pains but we might be waiting awhile to find out. In the meantime, try Comforté for natural relief from menstrual cramp discomfort.